. Published on July 14, 2014 . I like to position myself to receive inspiration or put myself in interesting situations where I’ll be exposed to new ideas. The great thing is if you keep your mind open, inspiration can come from any place. This summer has provided lots of sources of inspiration. Positioning yourself to receive inspiration can be as simple as organizing. I’m guilty of living in chaos. 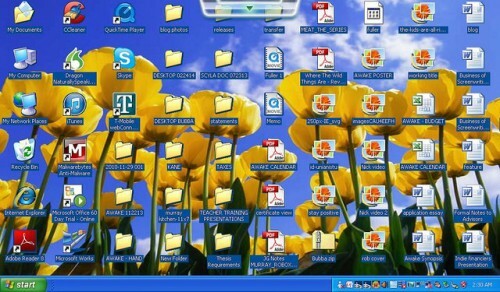 Does your computer look like this? Cringe worthy, right? Sometime we have to “set the table” to process ideas more succinctly. We need to make sure everything is in order and ready to go so we can attack any project with a minimum of surprises or annoyances. Nothing is more stressful when you can’t find a file, jpeg, email or whatever. The search puts your project on the back burner, stifling inspiration. Suppose you’re a neatnik that has all their files in place. Now it’s time for you to find inspiration if it doesn’t find you. Like I saidc summer in Chicago is a great time for that. Last time I told you how I went out and experienced grilled cheese sandwiches. However, so much has been going on my mind is teeming with new ideas. The World Cup is a great example. 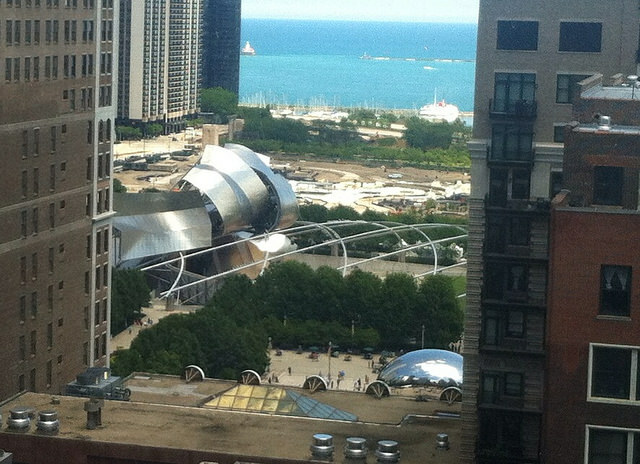 For a few weeks Chicagoans have gathered in mass to watch a game of soccer…oh my bad…football. Watching people put on the red, white and blue and succumb to the mass hysteria is the story. People flocked to Grant Park for more than a game. They did it for a communal experience. It’s the artist’s calling to figure out why. Finding the “why” opens your mind up to inspiration. 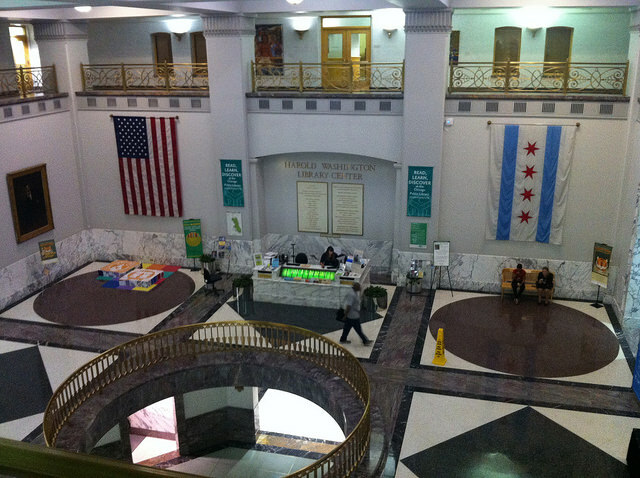 Just recently I went to the Harold Washington Library. I can’t believe I’ve never been there before. The building is beautiful, could use more power outlets, but still beautiful. It is also steps from campus! It’s been a while since I’ve gotten lost in the stacks. Now I throw it back to you. What gets your wheels turning? What will you do to inspire yourself?